From the BBC’s crash course "Follow Me" in the 70s to the 90s concept of Active Viewing and today’s You Tube Generation, how has the role of video changed in the last 50 years? This personal journey will trace how the moving image has moved on, and analyze the part it may play in the classrooms of the future. 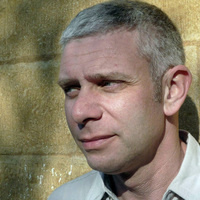 Ben Goldstein has taught English for over twenty years in the UK, Spain and Hong Kong. He currently lives in Barcelona and teaches in The New School’s online MATESOL program (New York). He is lead author of the adult coursebook series New Framework and New American Framework (Richmond) and the newly published The Big Picture and American Big Picture (Richmond). He has also published the course book and workbook for English Unlimited Advanced (Cambridge) and the teachers’ methodology handbook Working with Images (Cambridge). He is currently working on the follow-up Language Learning with Digital Video (Cambridge). Sponsored by the Department of Language Learning and Teaching. This event is free and open to the public but reservations are required. To RSVP click the register button on the top right.